Kevin Turvey: My name's Kevin Turvey and I'm an investigative reporter, which means I investigate things and then report on them. What Ever Happened to Kevin Turvey? There's a 40 minute version of this (the version available to buy) and a 30 minute version for TV. The shorter one is much, much funnier. Kevin is my favourite Rik Mayall character. He's not the instigator of violence like so many of the others, but is sometimes on the receiving end. He's an innocent, carefree, poking his nose journalistically into the mundane things around him. It's his calm, logical approach that is so funny and his determination to discover the truth about such things as what happens to frogs after people have eaten their legs. Sadly this character never had his own series. He did have a regular five minute section in the middle of a sketch show called A Kick Up the Eighties. 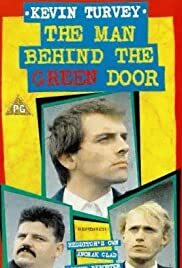 Personally I would have much rather had more Kevin Turvey and less Bottom.